Spiritually conscious, life-enhancing psychotherapy, counseling & hypnosis/guided imagery. The Light of our incarnate souls dwell within our physical bodies. Embodied, we learn, act, and experience life in this world. Through the passage of time, our bodies grow, change, and ultimately fall away, releasing the Light within. 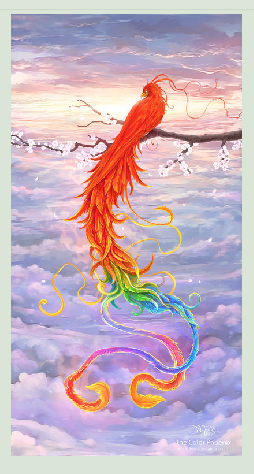 Like the legendary Phoenix, we rise again and again, inhabiting new bodies, new vehicles for the evolution and expression of our consciousness. Many of us sense the essential truth of reincarnation (rebirth). In fact, some of us have glimpsed what may be our own previous lives. Across the globe and human history, we find many accounts of, and beliefs in, reincarnation. In more recent times, numerous instances of apparent reincarnation have been extensively documented. To learn more, see Reincarnation. Many people wonder what happens in between one earthly life and another. Do we simply jump from one physical body to another, or does consciousness exist – perhaps even flourish – between lifetimes? According to many who return from near-death experiences, as well as the mystical journeys of spiritual explorers (in hypnosis, meditation and dreaming), we discover rich and enormously diverse experiences beyond the physical body. We may remain discarnate (having no physical body) for months, years, even centuries of Earth time before returning to physical form. Eventually, we may cease to return to Earth altogether, while the soul continues to progress on higher planes of existence. For more about the soul’s experience between physical lifetimes, see Life Between Lives. Alternatively, see the Links page on this web site. Several of the sites linked here have past-life therapists listed on line.